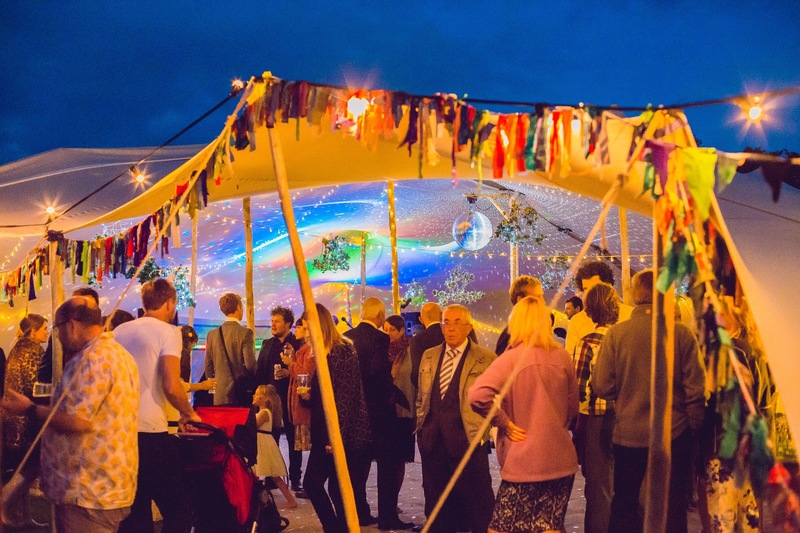 We are White Rose Tents Ltd.
Based in West Yorkshire we travel the length and breadth of the country for 6 months of the year providing complete wedding packages, corporate events, bars, stages and sound systems. Go to our blog or our photo album page to see some of our previous installations and click through to photo albums of previous stretch tent rental clients. From Yorkshire to Dorset, Somerset, Hampshire, Gwynedd, Cumbria, Lancashire, Derbyshire, Staffordshire and the Isle of Wight, we really do operate nationwide. We offer a friendly professional service at northern prices. Our team has a wide variety of event based backgrounds with decades of experience working in the events industry. Including the provision of decor services, lighting design and installation, sound engineering and installation, upmarket event accommodation, event photography, transport and site logistics; so we know how to operate a smooth event. We are a small company and feel that the personal touch can really make your event a special one. We can offer a truly bespoke service. 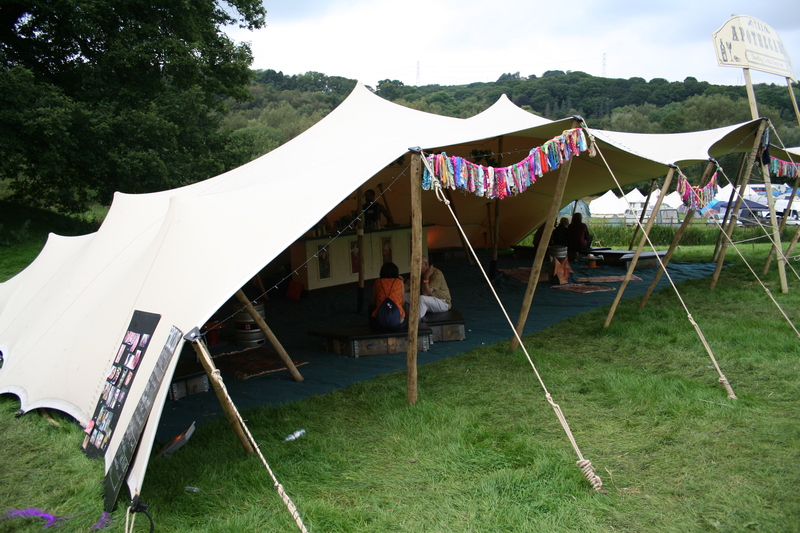 Stretch tents are made out of a special slightly elasticated triple layered woven waterproof fabric. 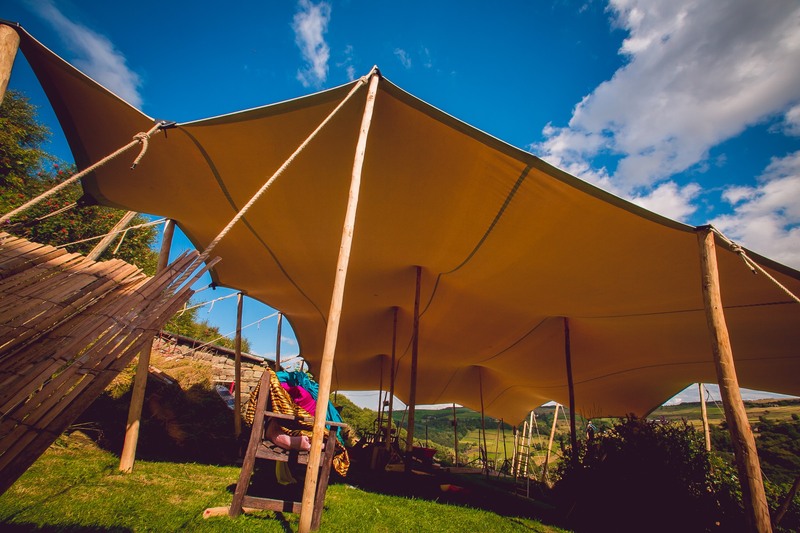 Poles with rounded tops push the tent up into position and are held in place by the strength and tensile strength of the material staked into the ground. The light colour of the canvas gives a very light airy feel inside the tent even when the walls are brought down. 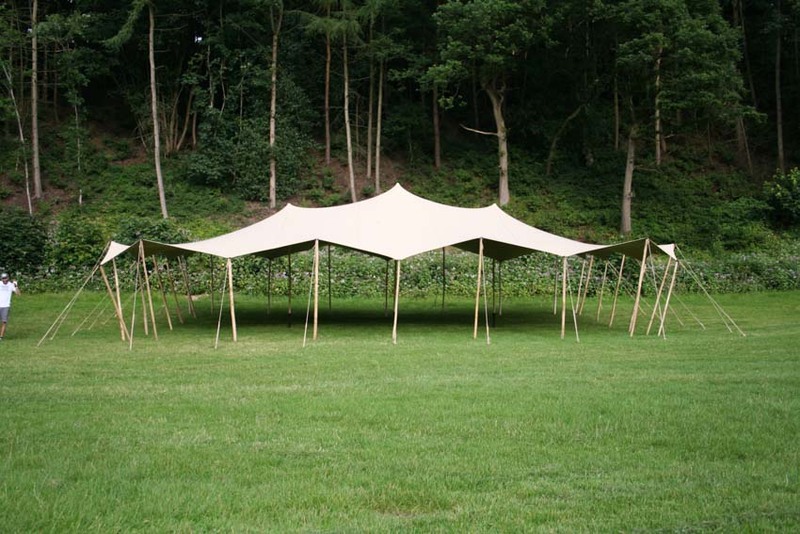 We currently stock five sand-coloured 10m x 15m stretch tents and a selection of smaller size tents 5m x 6.5m, 6.5 x 6.5m, 7.5m x 7.5m and 7.5m x 8.5m. These tents can connected together in a huge variety of combinations. They can also be arranged in L, T or C shapes. To add even more set up possibilities. When we join the tents we make the join the peak of the tents and secure another piece over the top so rain can't get in. They can even attached to buildings or other suitably solid objects. We drill and insert expanding bolts into masonry to attach the tent to. 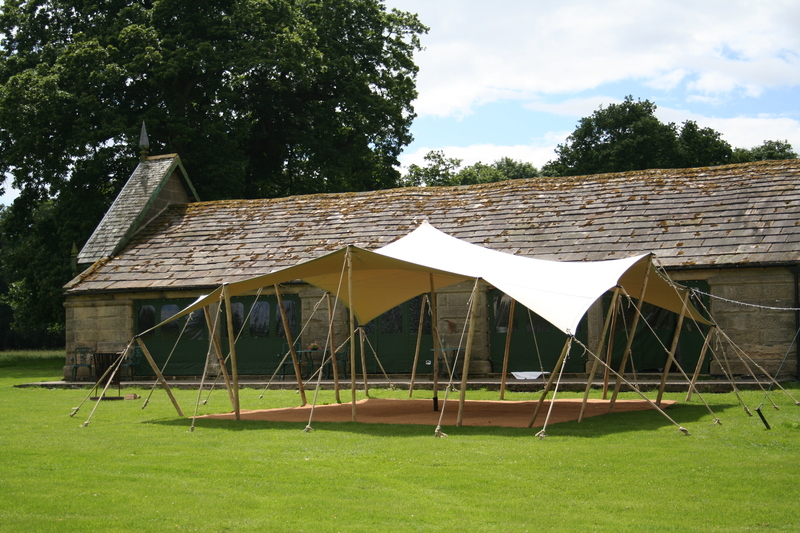 The ‘canvas’ is 10m x 15m when set up as a canopy with no walls. When a wall is brought to the floor between 1.5m-2m is lost from the floor space where people can stand. A 20 x 15m tent with both 15m walls and one 20m wall down leaves a useable floorspace of 17 x 12m. This page has more detailed information about the tents capacities when set up in different ways.